Currently the Arthur Wylie brand is one of the hottest celebrity entrepreneur brands in the country. His ventures started out of his dorm room, and he gained millionaire status by the time he was 26. Wylie is the founder and CEO of the Arthur Wylie Enterprises brand, which has overseen 1,200 clients and $500 million in assets, transactions, insurance, intellectual properties and real estate over the past 11 years. 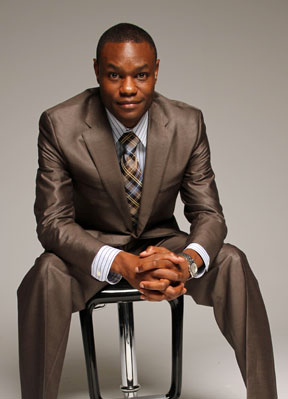 He has several subsidiaries that are in film development, consulting, project financing, speaking engagements, celebrity events, book publishing, and real estate ventures internationally. Arthur has a Bachelor’s Degree in Financial Management from the University of North Carolina at Charlotte, and has been a licensed securities principal for some of the top investment companies in the world. Currently, Arthur also holds the title of CEO of Global Renaissance Entertainment Holdings, where his duties range from capital raising, film production oversight, distribution, marketing and working with some of Hollywood’s top producers with over 9 Billion Dollars in Box Office Sales. Arthur lives bi-coastal in Charlotte NC and Hollywood, Ca. 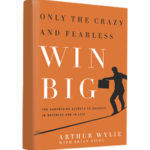 Arthur recently launched the Wylie Initiative for the Study of Entrepreneurship (W.I.S.E) and the Arthur Wylie Foundation to help develop the next wave of young aspiring entrepreneurs through scholarships and educational programs. Arthur has been featured by the leading National Media outlets such as ABC, NBC, WGN, CBS, Fox News, Forbes Online, Wall Street Journal (Market Watch), Black Enterprise, Uptown Magazine, Rolling Out, business journals, and many local and regional publications.